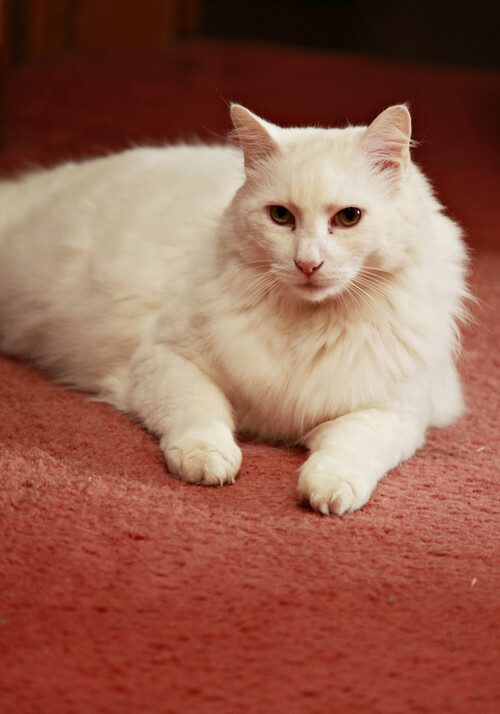 Tarzan is a nine year old, handsome, long hair white cat with a wonderful disposition and outgoing personality. When his family noticed a change in his behaviour, they were immediately concerned. Always a fastidious litterbox user, you can imagine their surprise when Tarzan squatted and urinated on the kitchen floor. Their surprise changed into worry when they saw blood in the urine. Tarzan was brought to the hospital for an examination and Dr. Todd obtained a urine sample. 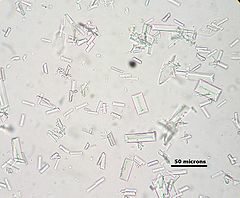 The analysis of the urine revealed not only blood but excessive amounts of crystals prompting Dr. Todd to proceed with radiographs of Tarzan’s bladder. Much to everyone’s surprise, Tarzan had 30 to 50 bladder stones of various sizes. Tarzan was admitted to the hospital and immediately scheduled for surgery. During his stay, Tarzan was an exceptional patient and made fast friends with all of the staff. Dr. Todd performed Tarzan’s surgery and all the bladder stones where successfully removed. Tarzan recovered very well and was discharged from the hospital on a prescription urinary diet. The bladder stones were sent to a specialist for analysis where it was determined that the stones were Struvite, which is good news for Tarzan. 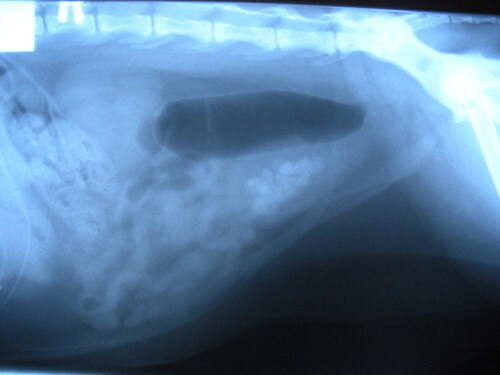 Although genetics clearly make him more prone to forming this type of stone, special diets are available which are very successful at preventing further bladder stones from forming. 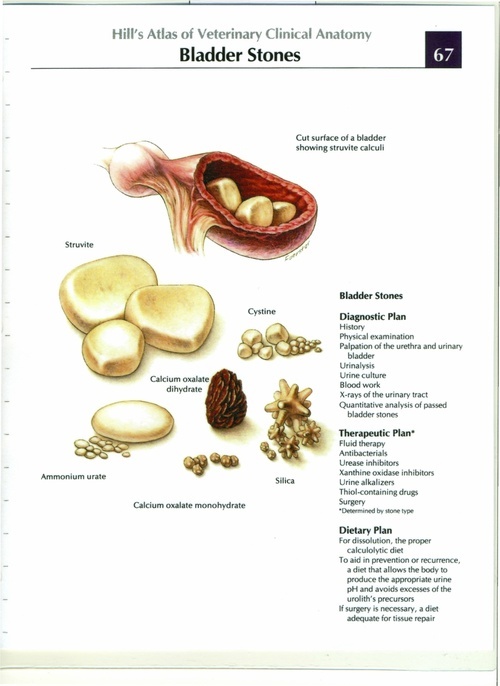 There are 6 types of bladder stones with struvite and calcium oxalate stones being the most common. Bladder stones is only one possible cause of any of the above symptoms. Other possible diagnosis include bladder infections, Feline idiopathic Cystitis or Urinary Obstruction. Should any of these symptoms occur, an immediate examination and work up by your veterinarian is recommended. In the case of a Urinary Obstruction (blockage) the condition can become severe and potentially deadly within 24-48 hours, so it is important to seek veterinary attention right away. Tarzan is doing exceptionally well at home and is enjoying his new diet.